Sign up and receive Property Email Alerts of Houses for sale in Waterfall Equestrian Estate, Waterfall. The ultimate in Equestrian Estate living is in this exquisite country home in Waterfall Equestrian Estate, where the sunsets and views over the Magaliesburg are breathtaking. Situated centrally in this premium estate, this elegant home is a haven of tranquillity only 15 minutes away from the bustling metropolis of Sandton. There is a luxurious, yet homely feel as you walk into the double volume entrance with solid oak floors stretching throughout the lower open plan entertainment area. Three Morso fireplaces are strategically positioned throughout the living areas, enveloping the home in a warm ambiance. A wine cellar and adjacent indoor/outdoor bar are surrounded by a wrap around patio and outdoor fire pit taking full advantage of our beautiful balmy Jozi summers. 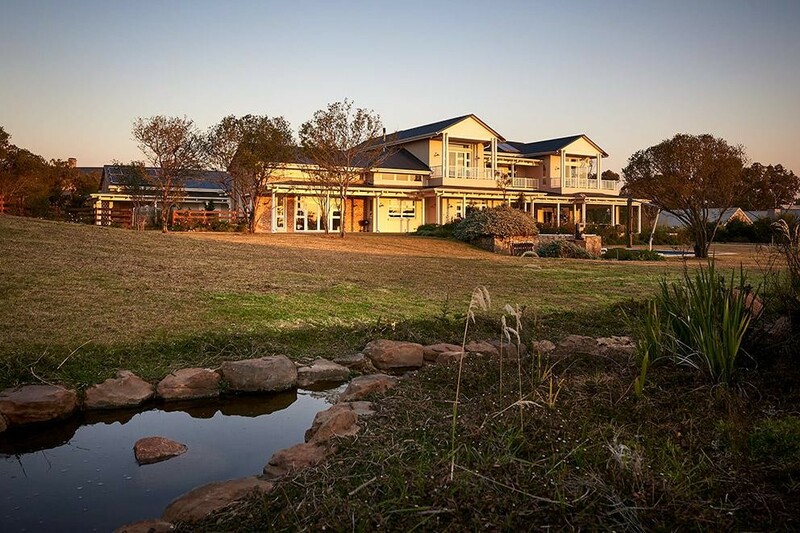 The fully indigenous garden (approximately 2800sqm landscaped) has a dam fed via a flowing stream and water-harvesting system adding to the "green" status of the property. Situated on a hilltop, stands on this flagship Estate start from 8500sqm. Flanking these homes are paddocks, an equestrian arena and wide stretches of green landscaped grounds forming part of a sustainable and integrated ecology that is the centerpiece of this sought-after development. Waterfall Equestrian Estate was the first of the series of Waterfall residential estates to be developed and it includes facilities for equestrian shows as well as stables, tack rooms, show jumping arena, dressage arena, lunging rings as well as a scenic bridle path along the embankments of the Jukskei River. At the entrance to the Estate is the 16 suite boutique hotel, Tintswalo at Waterfall. This 5-star boutique hotel was designed to embody Waterfall Residential Estates emerging signature style of a modern Highveld vernacular architecture. With its barn-like structure, its interior glows warmly with wood and the solidity of slate, brick, stone and brushed steel. The well-appointed suites are themed according to different horse breeds and its signature restaurant, The Feedroom, has enjoyed massive acclaim in both local and international media. Other facilities in this hotel include a day spa and full conferencing facilities. Sign-up and receive Property Email Alerts of Houses for sale in Waterfall Equestrian Estate, Waterfall.